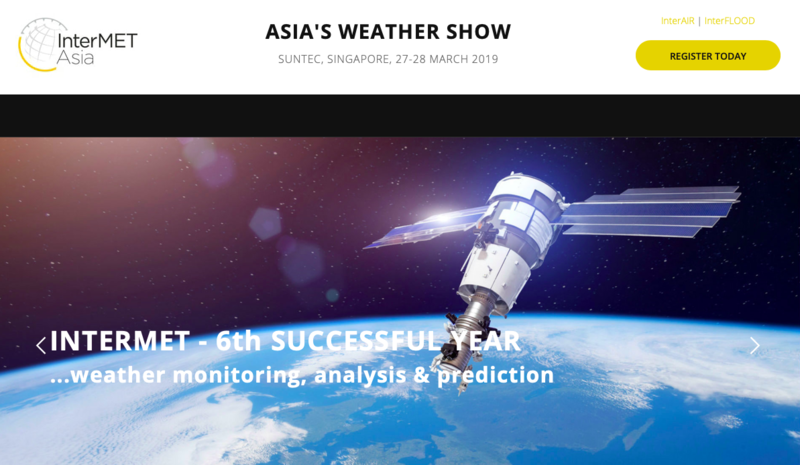 RIMES with other experts and partners from the global weather and climate industry will attend the 2019 InterMet Asia Climate Week in Suntec, Singapore to tackle weather and climate-related issues in the Asia, Africa and Pacific regions. At the event, RIMES will also exhibit services and application systems that helped build forearmed, forewarned and resilient communities in 48 countries. The 2019 InterMet Asia Climate Week from March 26 to 29 will hold three conferences and exhibitions. The 6th InterMet Asia and 2nd InterFLOOD Asia will cover mitigation and management approaches against the impacts of extreme weather and climate change to build resiliency, while the first InterAir Asia will showcase best practices in monitoring, measuring and improving air quality to promote health and environmental safety. To join the week-long conferences, exhibits and workshops, please register at https://intermet19.reg.buzz/rimes. For more information on the 2019 InterMet Asia Climate Week and its partners, pleave visit https://www.intermet.asia.